Viber full offline EXE and MSI installers are now available for Windows PC. 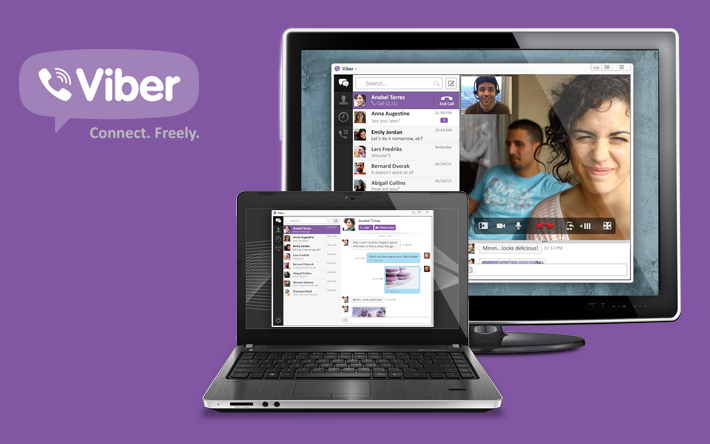 Viber for Windows has supported on Vista, XP, 7, 8 and 8.1 MS OS. Viber is mainly a messenger used for voice and video calls which are free of charge over the internet it also works on MAC, Android, and iOS platforms. Viber connects the world and many people with their friends, family, and colleagues. It uses the technology which is used in Skype to transfer audio and face time over the network to the other point smoothly without any significant hustles. It is straightforward to use and has a straight user graphical interface design to keep things simple to navigate. Viber is the excellent software for calling and texts which are sent and received over the network which is based on 'Peer to Peer.' The internet connection needs to be fast, and the latency needs to be decent over 3G and 4G wireless it performs really well without any lags in the voice or a drop in video quality between the persons. TeamSpeak 3 is an excellent example of what hardware and applications were made and developed to be used in such Apps for the computers, when it comes to connectivity there are hundreds of options which are available in this unique invention from communicating and sending data to other people. A list can be created in which you can add people and other users which you know there are different tabs like Favorite, Recent, Missed and new contacts. Sticker messages can also be sent with emotion icons like '':), :P, :('' which are most common ones but they are not sent like the examples but have a small image which represents each of the following is a more significant look. There are no limitations in calling, but some countries do not allow Viber to be used as it does not apply to their terms and conditions. Personal profile with public chat groups can be created in which you can invite other people to chat and message to talk with them. Facebook and Twitter are also integrated so people can directly see that if the number is online, busy or away. Viber uses standard phone verification through which it recognizes the device and makes an account of it.